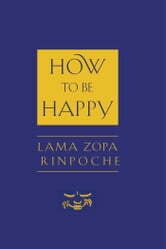 In How to Be Happy, Lama Zopa Rinpoche helps us find our good heart, the heart that rejoices in the happiness of others. How to transform problems into happiness, how to find compassion for our "enemies", how to treat ourselves with kindness; it is on these persistent and universal challenges that Lama Zopa offers his wise and warm teachings. Including three wonderfully rich and evocative guided meditations, How to Be Happy works with the reader to show that happiness in this present moment is dependent on the wisdom of a truly open and generous heart. 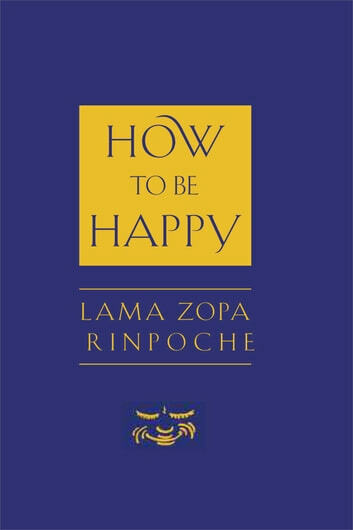 Anyone looking for advice on how to be happy - truly, meaningfully happy - will find Lama Zopa Rinpoche to be a trustworthy and skillful guide. He is a tireless teacher of methods that work for us when all is well, and also when life's troubles, big and small, seem unmanageable.